Inflatable Boat Drain Plug Kit flip-up with housing. Easily cut to the length required. 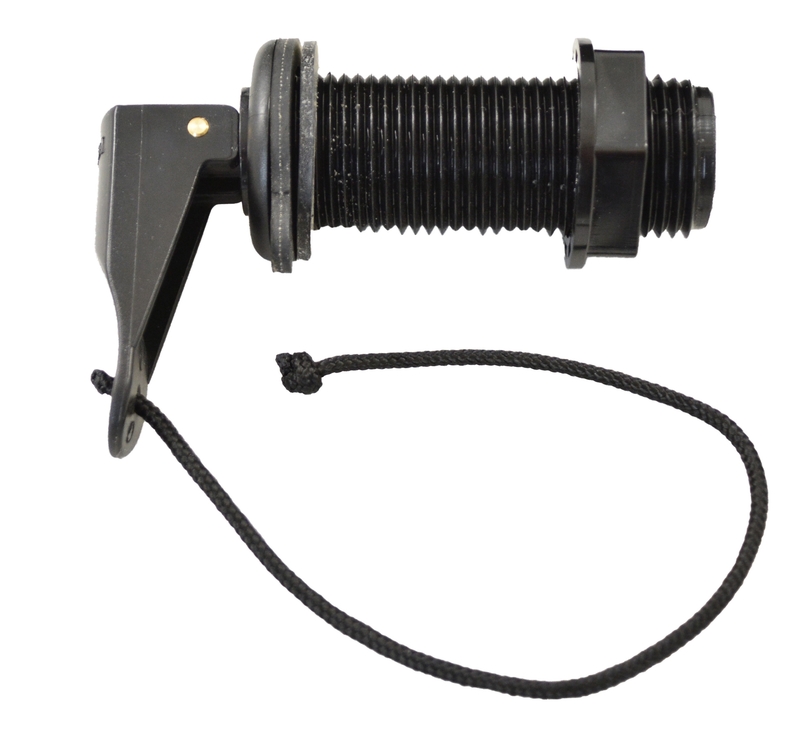 Inflatable Boat Drain Plug Kit flip-up style with housing for Inflatable Boats and RIB’s. All shaft diameters are 1′ 1/8″. Easily cut to the length require. Plug contained in kit is 7/8″. Available in 2 1/4″ or 3″ length. Stainless Steel replacement drain plug for inflatable boats with housing. For Achilles HB DX Series, as well as any inflatables with 7/8" diameter drain plug opening, stainless steel. This multi-purpose drain plug can be used for AB and Achilles inflatables. Made of neoprene rubber. Measures 1-3/8" in diameter. Includes string for attaching to boat. This is a custom boat cover designed specifically for the Achilles HB 240 LX Model. Available in Gray or White Cover will fit over 2 and 4 stroke outboard motors. Our covers also feature an elastic shock cord to ensure a taught fit.